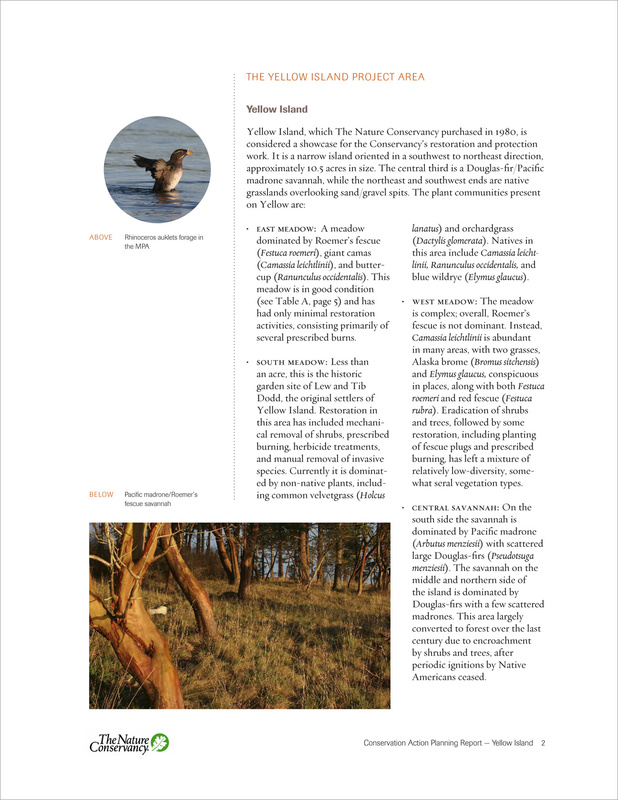 Yellow Island is among the most colorful of The Nature Conservancy’s preserves in Washington state, long known to passengers aboard the state’s San Juan Islands ferries for its dramatic wildflower displays. 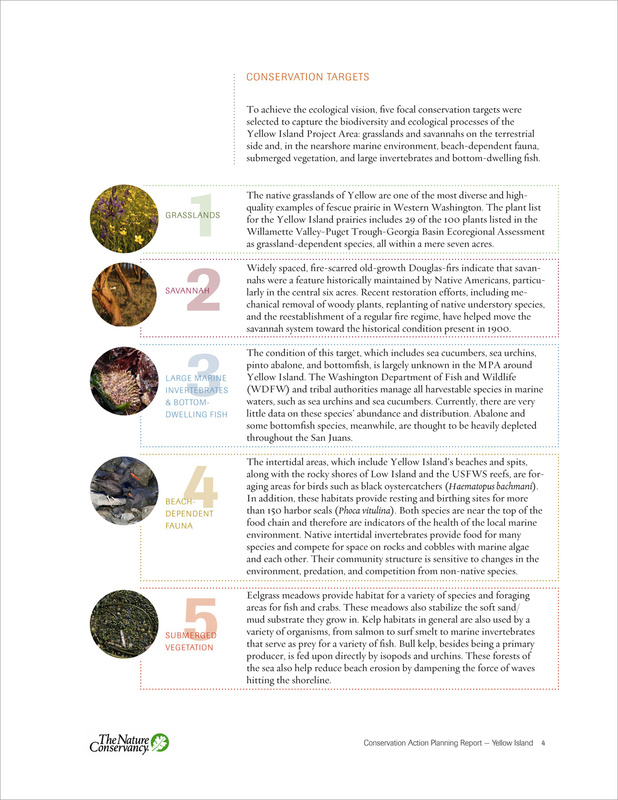 The small island’s springtime floral display is greater than that of any similar-sized area in the 170-island San Juan archipelago. 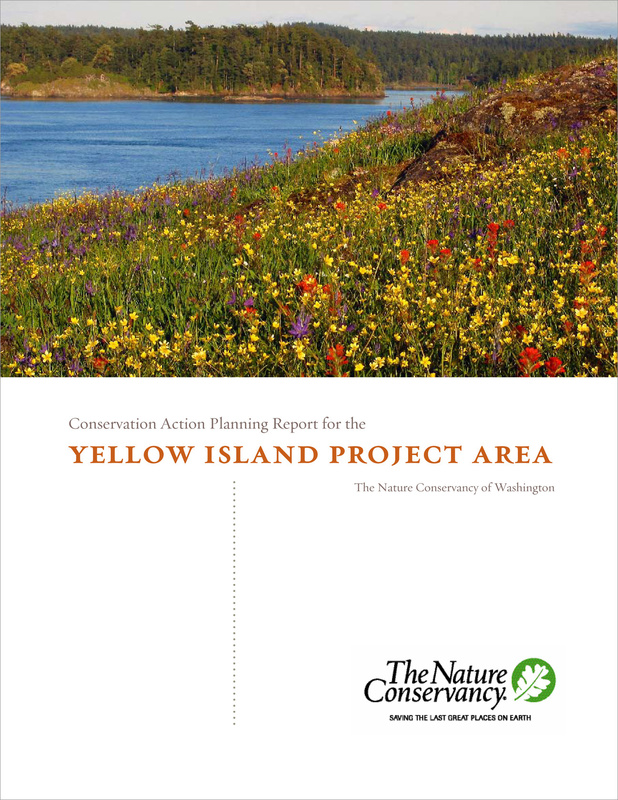 The Nature Conservancy publishes detailed reports about its conservation areas, and when the time came to do the report book for Yellow Island, the organization was ready to explore a new approach. To make the content more inviting and user-friendly, I redesigned the full-color booklet using ample white space, colorful photos, and easy-to-read data tables. 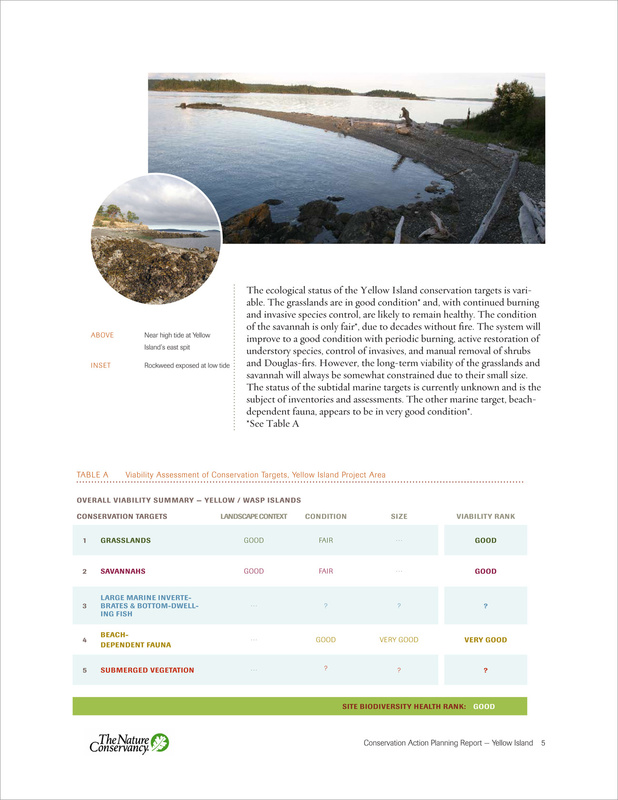 Once complete, I supplied the Conservancy with InDesign templates, complete with style sheets, so that they could build additional reports in-house. The result is an engaging collection of data that portrays the beauty of the island and the dedicated efforts of the Conservancy.